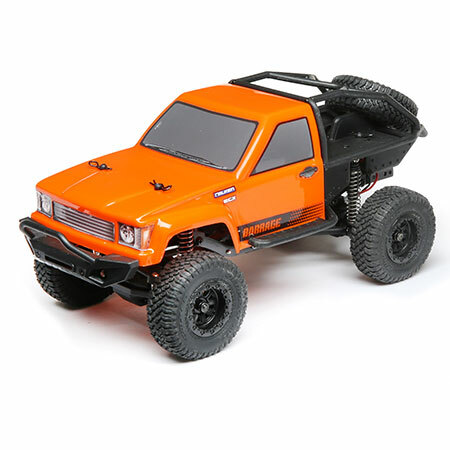 From the brand known for its rugged durability, the 1/24-scale 4WD ECX® Barrage® Scaler goes where other scale crawlers can never reach with incredible scale realism, officially licensed Falken™ Wildpeak MT tires, rear “truggy” cage and LED lights. The Barrage features a beginner-friendly price without sacrificing performance or scale looks. It’s perfect for messy desks and messy bedrooms as well as crawling through gardens, mud, as well as your neighborhood creek and can clear marble-sized rocks easily. Plus, you get all of this excitement without breaking your budget or your drive train.